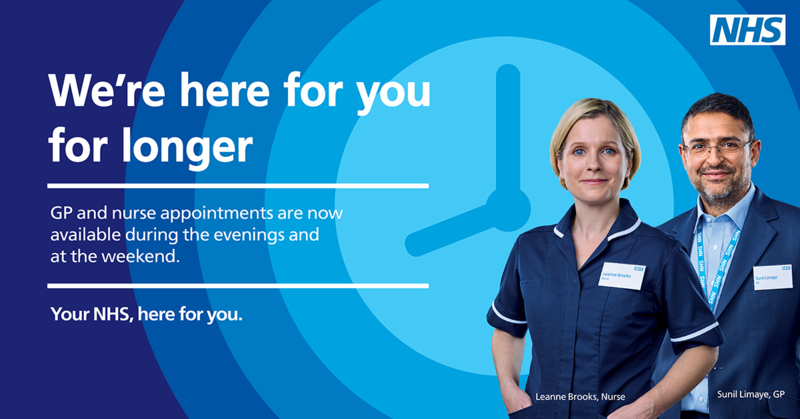 We are pleased to be able to offer our patients access to routine appointments in the evenings and weekends. The service is being delivered by Cleveland Surgery on behalf of all of the practices in the area. If a patients wishes to attend an extended hours appointment, they will need to travel to Cleveland Surgery and will NOT see their own GP.